Scientists have found 13 rings orbiting the Uranus like Saturn but these rings are very faint and gthey are not spread as wide as Saturn’s rings. These rings are made up of extremely dark particles and rocks. These rings hadn’t formed with the planet itself because they are quite younger. Scientists believe that these rings may have been formed from shattered moon (or moons) of Uranus. The very odd feature of Uranus is that it spins on its side rather than spinning like Earth and other planets. If you watch all the planets together in motion, you will see that all other planets rotate like a spinning marble, but Uranus will roll like a drum around the Sun. scientists think that the tilt in its rotation is caused by its collision with a planet-sized body. Uranus Spins around its own axis faster than the Earth, so its day length is 17.9 hours, shorter than the Earth (24 hours). The atmosphere makes 25% of Uranus. The gasses in its atmosphere are stormy but less stormy than its neighbors Jupiter and Saturn. Due to the continuous motion of the gasses, its surface is uniform. Uranus has a very cold atmosphere which mostly contains frozen objects, due to this reason it is also called “The Ice Giant”. Hydrogen and Helium are the major constituent of Uranus and the small percentage of Methane. Its Bluish-green color is due to the methane present in its atmosphere. 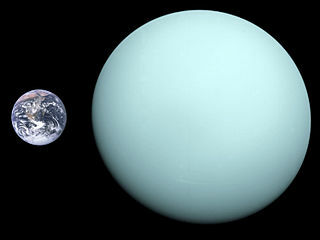 Scientists believe that Uranus may contains a huge ocean reaching a temperature of 5000 F (2760 C). Its core is believed to be rocky. 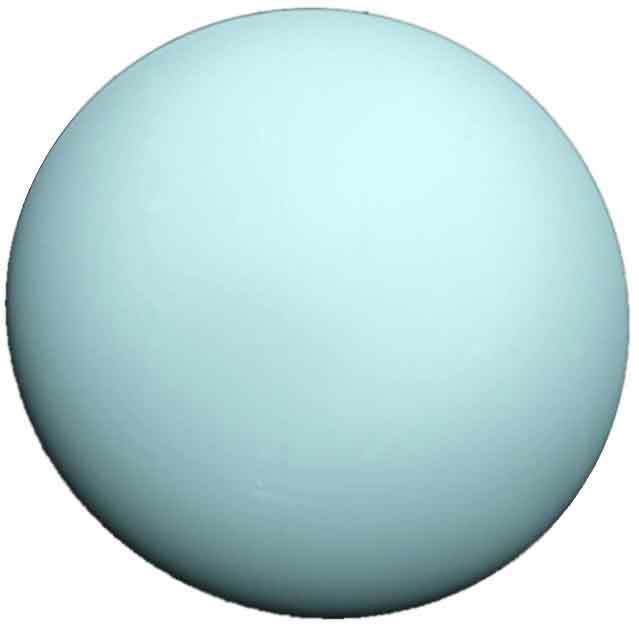 Planet Uranus was first discovered in March 13, 1781, by William Herschel using a telescope. In 1986, NASA’s space probe Voyager 2 visited the Uranus during the flyby and sent back photos. 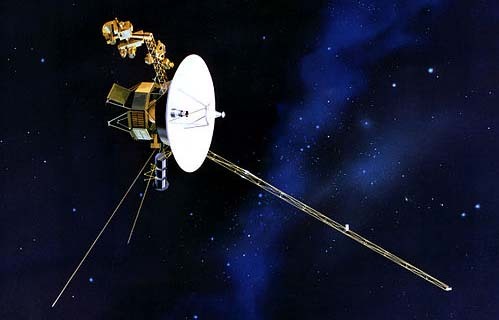 This flyby made by voyager 2 is the only visit to Uranus and no further visits are planned. Abdul Wahab, "Uranus," in Science4Fun, April 13, 2019, http://science4fun.info/uranus/.